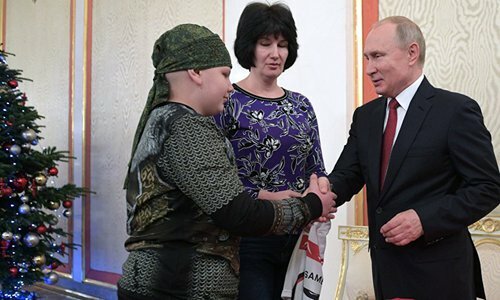 A very sick 10-year-old boy from the southern Russian region of Stavropol, whose dream was to shake hands with Russian President Vladimir Putin, was given a tour of the Kremlin on Thursday as part of a program helping children in similar condition. Russian President Vladimir Putin on Thursday fulfilled the dream of 10-year-old boy Kolya Kuznetsov who wanted to shake hands with the Russian head of state. Commenting on Putin's handshake, the young man described it as "firm" and that he was pleased that the president shook his hand. 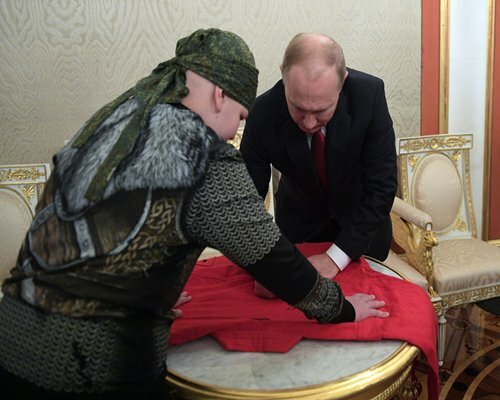 The child was forced to leave his sambo training for some time due to his illness, but Putin signed his sport outfit nonetheless. The boy's mother promised that her son would wear it at his first competition after beating his illness. Additionally, the child had an excursion around the Grand Kremlin Palace and visited several halls, including the Andreevsky Hall, where the inauguration of the elected head of state is traditionally held. This is the boy's first trip to Moscow. After the tour, the kid said that "it was very interesting." The boy is just one of children who has participated in the "Dream With Me" project, which fulfills the wishes of children who suffer from serious illnesses. Putin learned about the project at a volunteer forum in Moscow earlier in December and, moved by the boy's story, invited him to Moscow for the New Year's holidays.